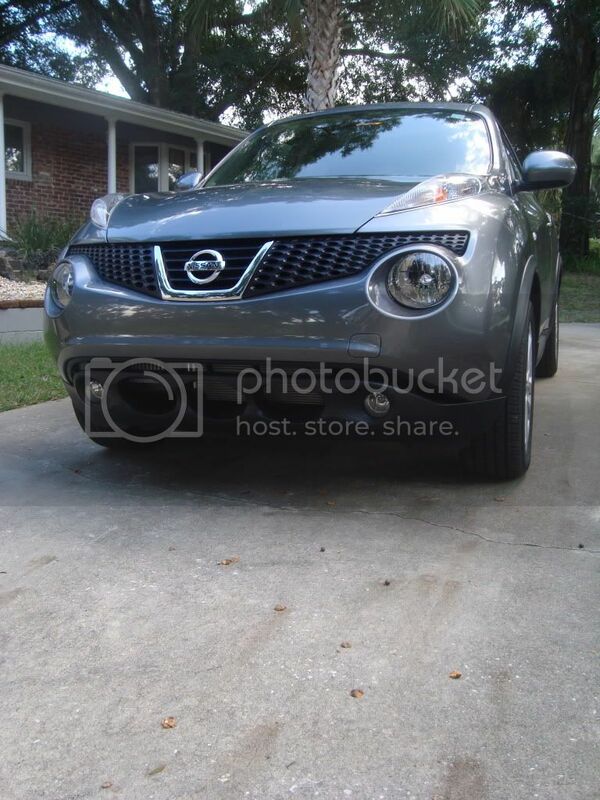 new JUKE owners, Check in & Post a pic! 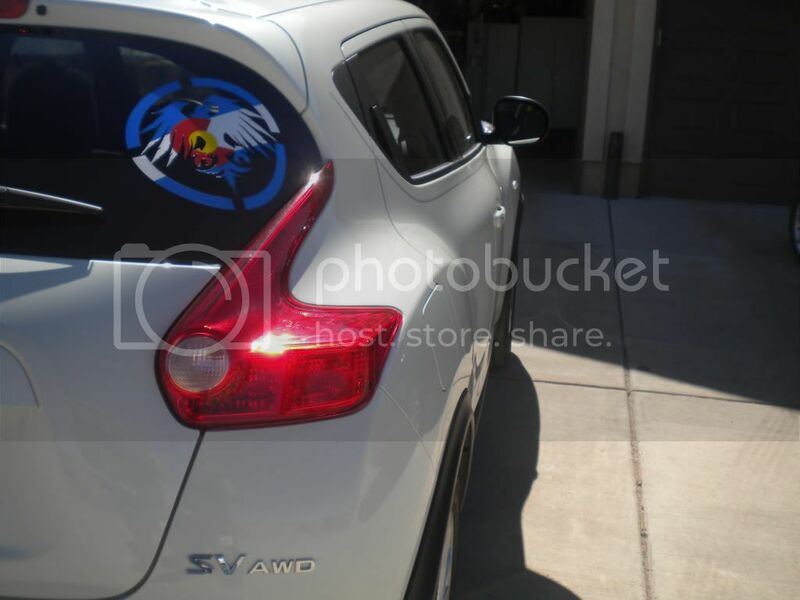 Re: new JUKE owners, Check in & Post a pic! Just wanted to introduce myself but have not had a chance to take any pictures yet. I got a Gunmetal SV AWD and I finally got 1200 miles on it so I can really hit the gas. Too bad gas prices are through the roof now. Will post up some pictures when I have a chance. Can't wait to see it in Gunmetal!!! Picked up my Juke today! Took two months and 3 vehicles before got one. Well worth the wait. What a great ride. Gotta be careful though cause he wants to fly down the highway! Last edited by Swamplady on Sat Mar 05, 2011 6:49 pm, edited 1 time in total. 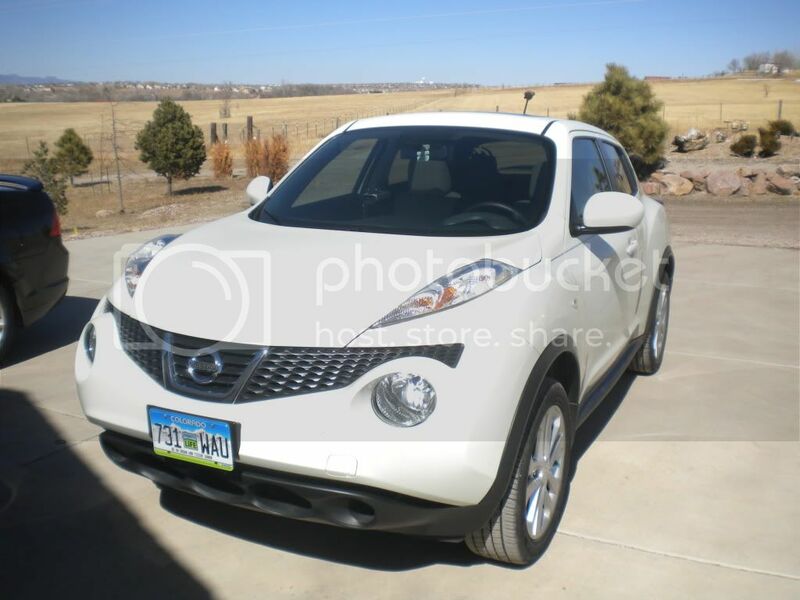 I picked up my new Juke 2 weeks ago. Love it !!! Went for an oil change (Versa) at the dealer and while waiting for it, took the Juke for a test drive.... well the rest is history. I don't have a pic yet, but I got my first choice of color - Rootbeer. I am new to this forum so I am excited to meet new people. What's the big sticker in the back window? 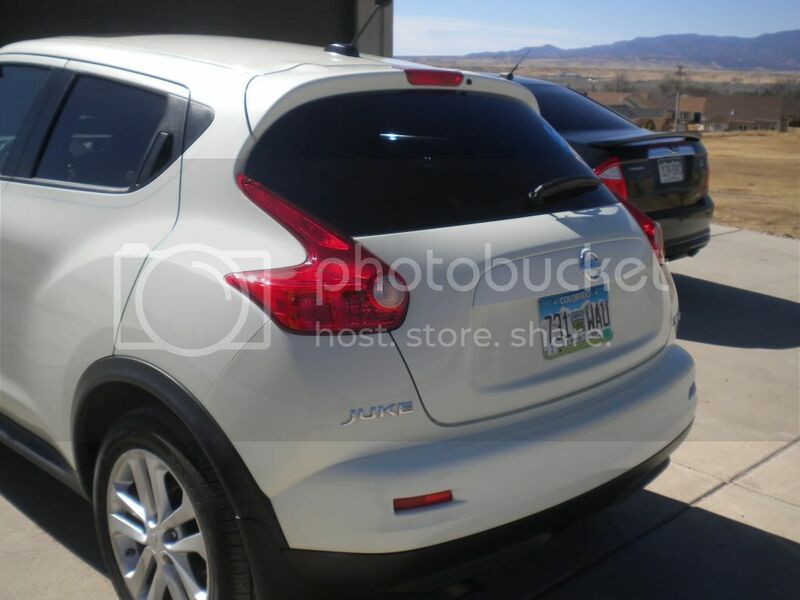 I have had my Juke for about 6 weeks now and love it I get lots of folks stopping and looking...and saying "what is it??" Love the color..
GRey1 wrote: What's the big sticker in the back window? 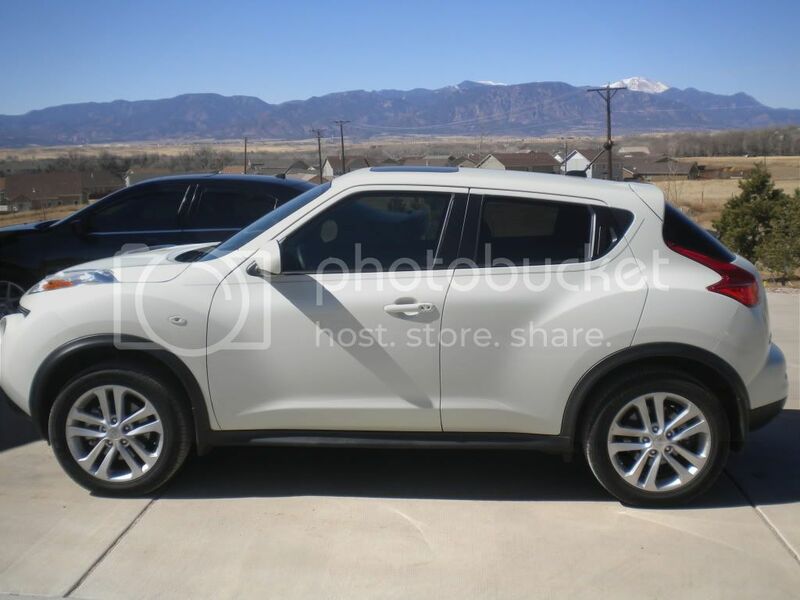 Although the Juke is listed as sapphire black.. From a distance, it does appear very black. but up close.. The small purplish/blue metal flakes will pop you. Nice ride. Now go out there and put some miles on the beauty! Hello, welcome to NICO! Nice color! 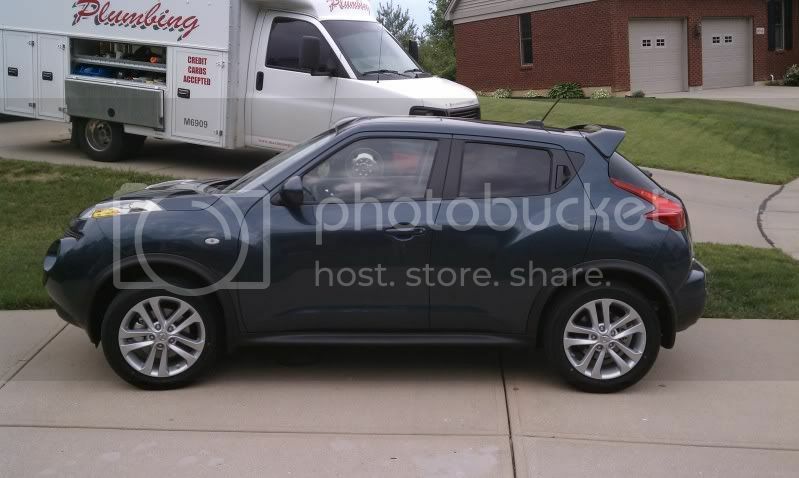 This is my New (1 week old) Juke. Hey guys! 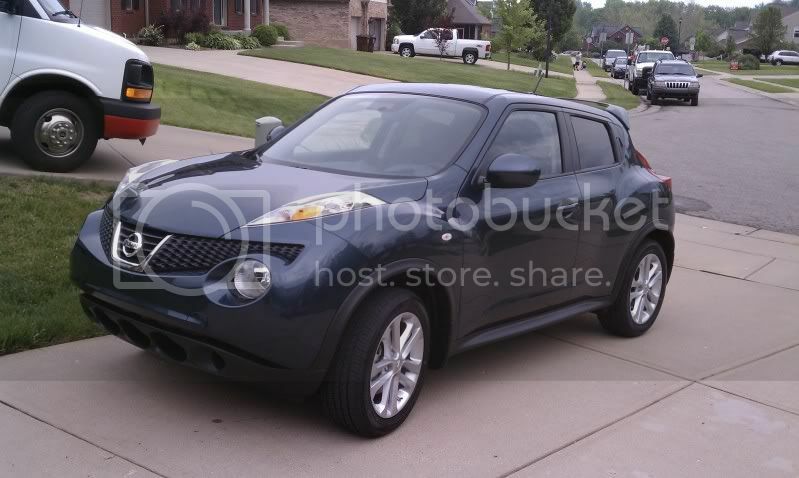 I have had my Juke for just over a month now. I have to say that I am absolutely head over heels for the little thing! Its Cayenne Red with the black and red interior, AWD, SL, CVT and whatnot. I just moved so I don't have any pictures yet. But when I find my camera again, I'll post some up. Glad to have found the community! 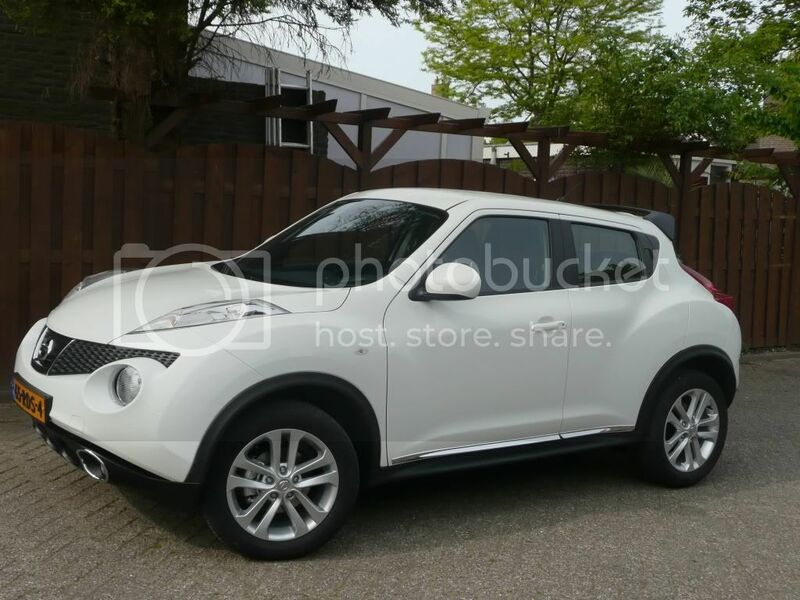 Finally Here,s a pic of my White Juke. 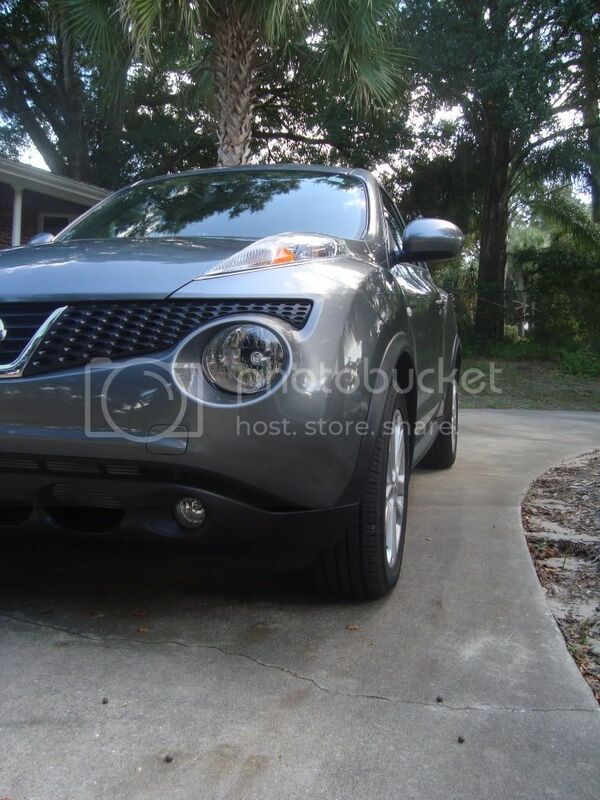 I LOVE - LOVE - LOVE my new Juke. I knew as soon as I saw it on the lot that I had to have it!! My husband needs to "warm up" to it but I know he will come around after he drives it! I had to have a sunroof and heated seats and the solid coloured console...other than that I didn't really care which exterior colour I got. They are so limited here on the east coast that I had only 3 grey, 2 red and one white to choose from in a 200 km area. I chose the grey with black interior and I love it!! I too have people stopping me to ask "what it is" and "where I got it"! I too can't seem to download my car photo....too bad as it is such a great looking car!! 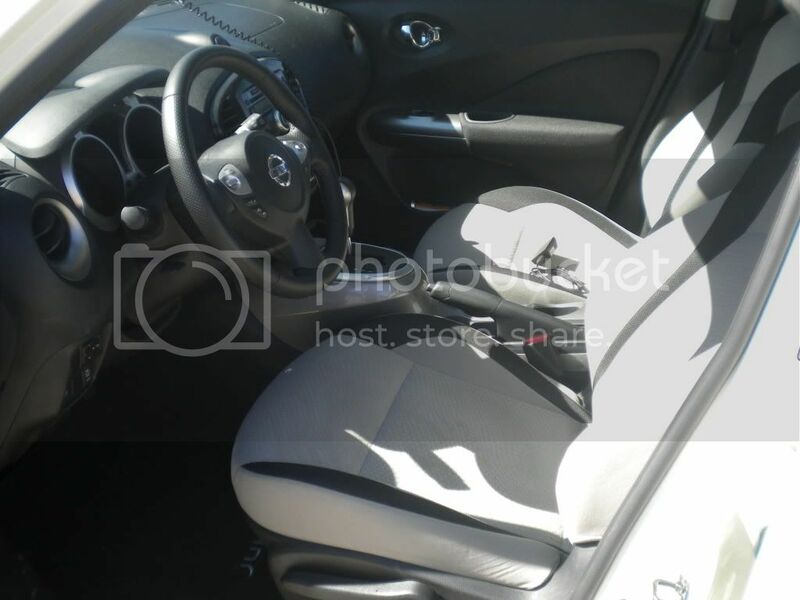 I will be picking up my 2011 Gun-Metallic Juke S FWD tomorrow. I am super excited and will post pics when I get it. Trading in my '09 Versa for it. Just picked it up today. I love it. my firm has been working on this infographic, would appreciate your thoughts. Feel free to use it however you like. welcome to the forums. 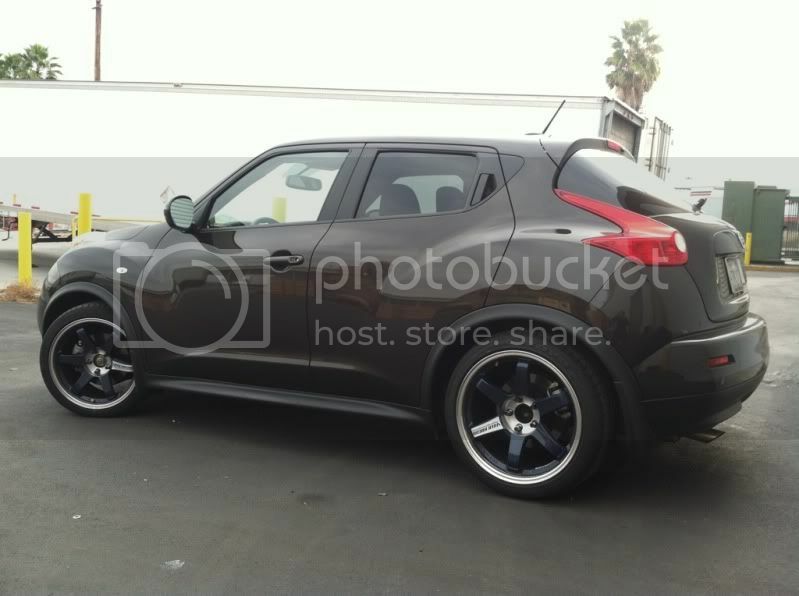 nice looking juke. cant wait to see your plans. 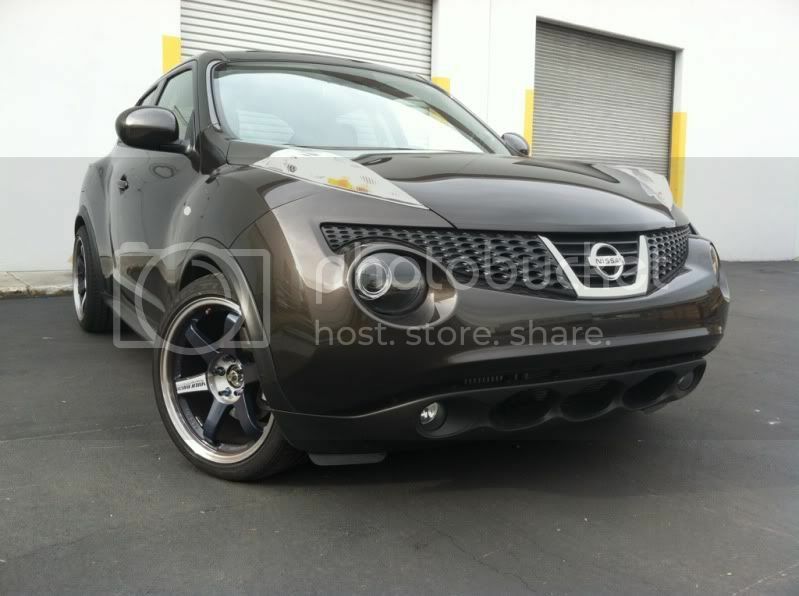 may wanna get some mesh grilles from http://www.customcargrills.com/proddeta ... issan_Juke to block the radiator and inercooler. i made sure to do that on mine. Mods to be done by the end of the month cold air intake, tint the tail lights, front likes and blinkers, replace chrome with black accessories and 17 in black/gun-metal wheels with all-terrain tires. Will be getting an off-centered black racing stripe w/ thin silver stripe parallel this Summer! Hi. Here's a pic of mine.